3M Completes Longest Known Running ACCR Field Test. Conductor Withstands 13-years in Minnesota Climate. 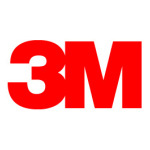 ST. PAUL, Minn.--(BUSINESS WIRE)--3M recently completed its longest known field test of a composite conductor in the United States, a 13-year field test of the 3M Aluminum Conductor Composite Reinforced (ACCR). 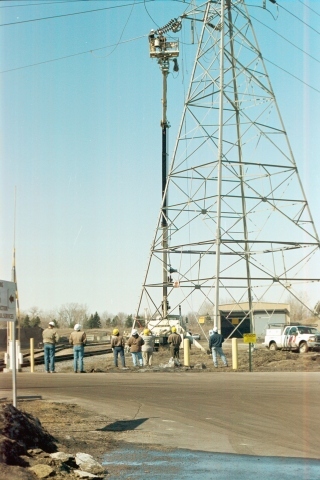 Installed in 2001 on a 115 kV transmission line at Xcel Energy’s Riverside Plant in Minneapolis, the test demonstrated the strength and resiliency of 3M’s ACCR composite conductor in demanding environmental conditions. 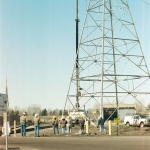 This field trial installation was the first known installation of a composite conductor of any kind in the U.S. transmission grid. The conductor was installed in 2001 and operated continuously until it was taken down for testing in December of 2014. Since the Xcel Energy installation, 3M conducted additional field tests at other utilities and at the U.S. Department of Energy outdoor testing facility at Oak Ridge National Lab. However, the Xcel Energy Riverside Plant test remains the longest running of all 3M ACCR field tests. The wide-ranging temperatures and changing weather conditions in Minnesota, from high heat and humidity during the summer months to extreme cold and heavy ice loads in the winter, provided an ideal test environment. The 3M ACCR 477 kcmil Hawk conductor was installed on a span of a 115 kV transmission line at Xcel Energy’s Riverside Plant, located on the banks of the Mississippi River in Minneapolis. The ACCR composite conductor, which ran from the 511 MW Riverside Plant to the transmission substation, operated in ambient temperatures ranging from -40 F in the winter to more than 100 F in the summer. The ACCR composite conductor met or exceeded expectations in all levels of line performance. Core samples of the ACCR conductor showed no sign of tensile strength loss, with results ranging from 108 percent to 110 percent of rated breaking strength. While the conductor was still in the air, sag-tension was measured and matched optimum performance expectations of 2990 lbs. at 20 F.
3M ACCR was introduced commercially in 2005 and is now installed on six continents. Because its light weight and low sag properties often enable line upgrades without the need to construct larger towers or expand rights of way, the conductor has found widespread use wherever tower replacement is difficult or uneconomical, including crowded urban settings and environmentally sensitive locations, such as river crossings and estuaries. 3M ACCR was developed with the support of the U.S. Department of Energy, which tested the conductor at its Oak Ridge National Laboratory (ORNL) in Tennessee, and with early contributions by the Defense Advanced Research Projects Agency. The ORNL tests demonstrated that the conductor retains its integrity after exposure to temperatures even higher than the rated continuous operating temperature of 210 C and the emergency operating temperature of 240 C. It has the durability and longevity of traditional steel core conductors, even when operated continuously at high temperatures. The conductor’s strength and durability result from its core, composed of aluminum oxide (alumina) fibers embedded in high-purity aluminum, utilizing a highly specialized and proprietary process. The constituent materials can withstand high temperatures without appreciable loss in strength. Also, since 3M's ACCR is based on aluminum, it has the corrosion resistance typically associated with all-aluminum conductors. 3M holds several patents on its ACCR technology, which has been recognized by R&D Magazine with an R&D 100 Award as one of the most technologically significant products introduced into the marketplace, and by the Minnesota High Tech Association with a Tekne Award for innovative development. More information about the 3M high capacity conductor is available at www.3M.com/accr. Video of the field installation also available.